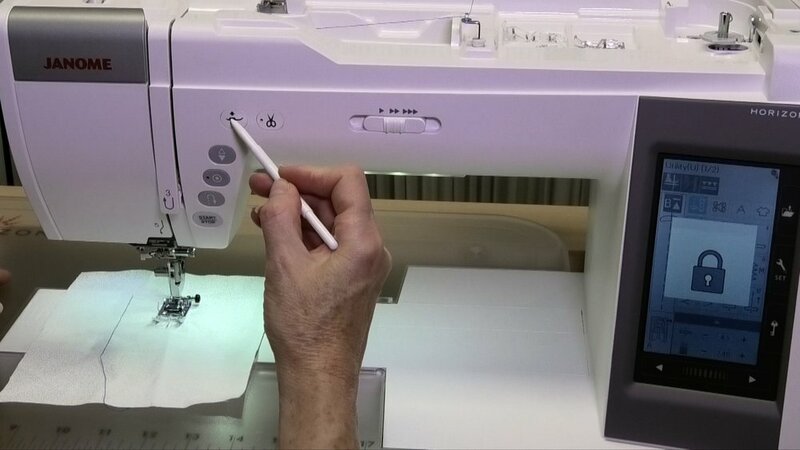 Some people use masking tape or a stack of post-it notes or other methods to stitch a seam a specific distance from the sewing machine needle. If you own a Janome MC9400, there is another way to get an even seam. 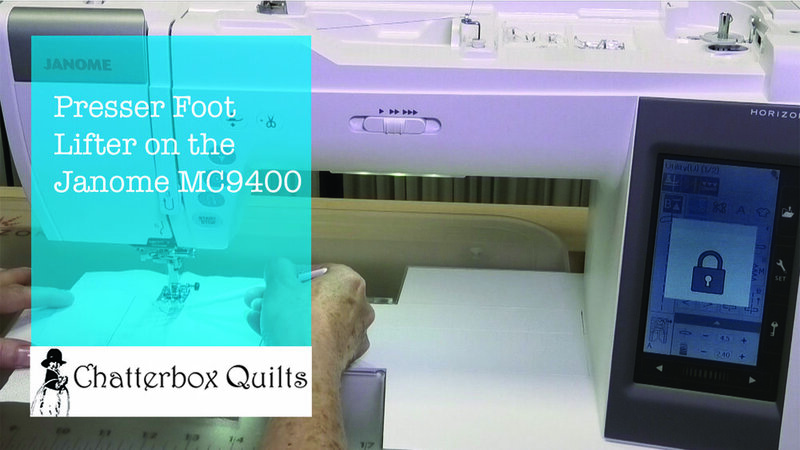 The Janome MC9400 comes with a cloth guide that will take the place of any of these solutions and ensure that you get an accurate seam as you stitch along. 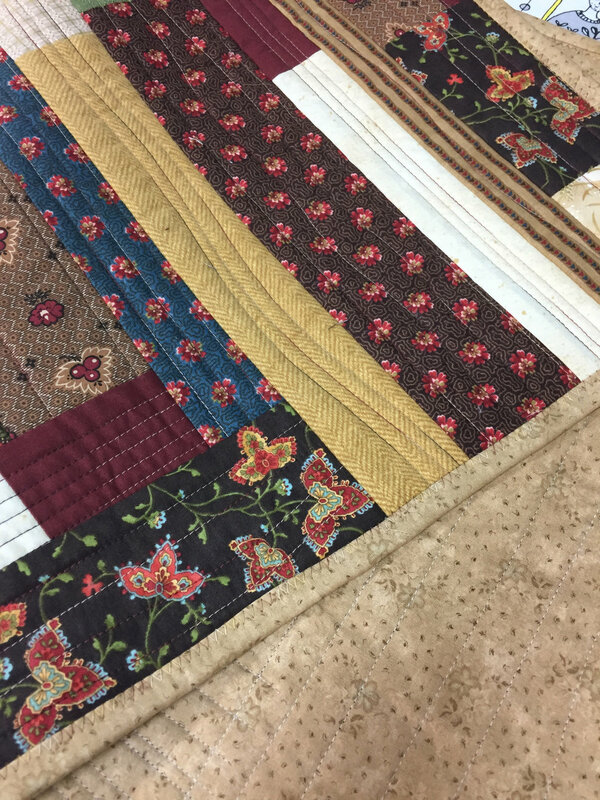 It is one of the accessories that you’ll find included when you buy the machine and sometimes quilters aren’t really sure what it is! It’s what you can use to stitch a perfect seam! The cloth guide can be set to whatever distance you want from the needle to keep an even seam. If you struggle to use the edge of your HP foot to get a perfect ¼” seam (a method I love to use when piecing! 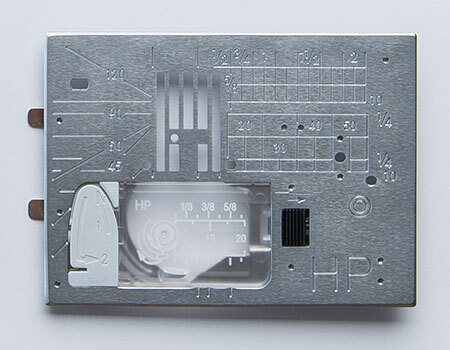 ), you can use the HP foot, HP needle plate and the cloth guide for the best of all worlds. To use the cloth guide, you need to remove the acrylic extension table from the Janome MC9400. 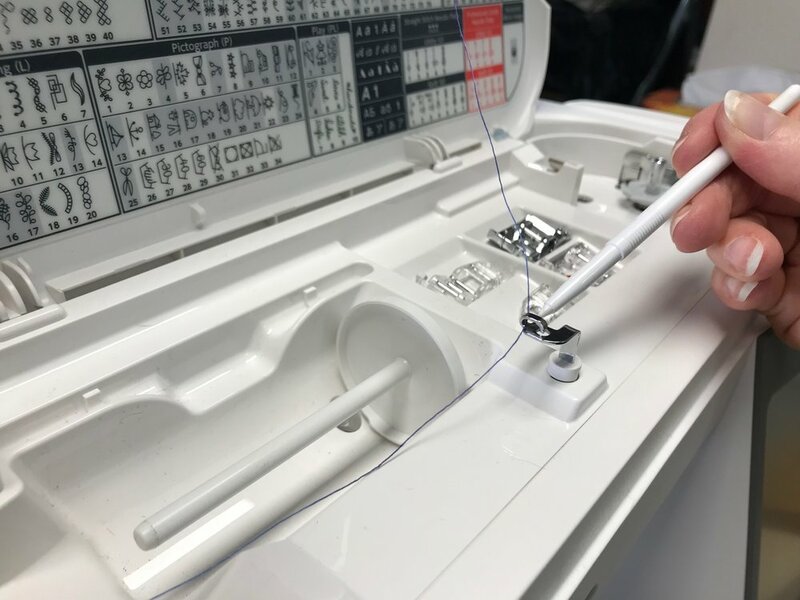 The cloth guide snaps into place on the bed of the Janome MC9400 and can be moved closer or further away from the needle, depending on the width of the seam you want to stitch. This is especially helpful for garment sewing when you need a 5/8” seam. Another way that I think the cloth guide would be really helpful would be when you want to stitch several rows of decorative stitches a specific distance from the hem or cuff of a garment. You could use the cloth guide to stitch the first line of decorative stitches and then adjust it to where you want the subsequent stitching to be. 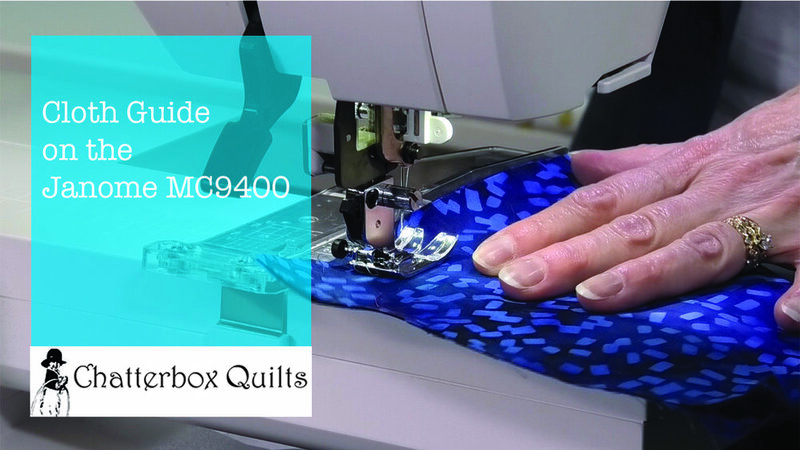 Information on how to attach and use the cloth guide can be found on page 26 in your Janome MC9400 manual. Click on the photo below to watch a video showing you how to attach and use the cloth guide.